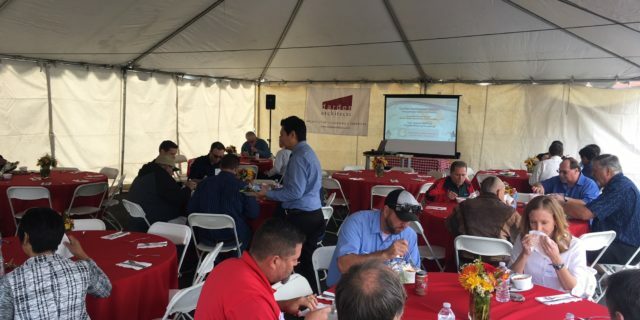 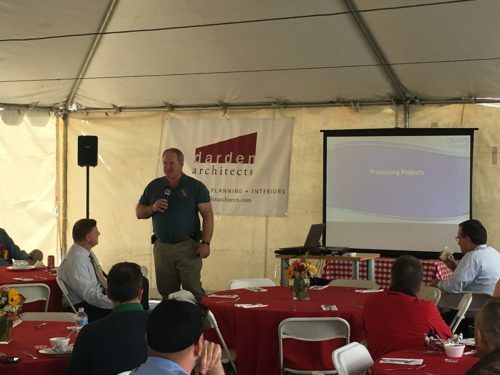 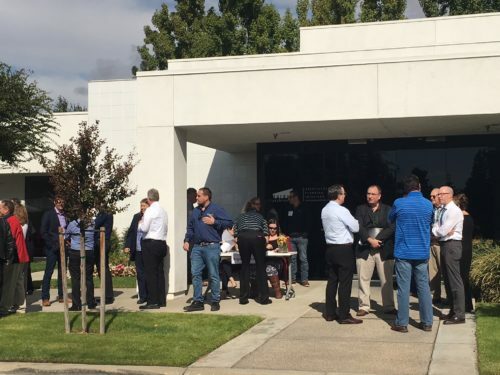 Every year, regional leaders in the healthcare construction and management industry gather for the California Society for Healthcare Engineering Barbecue at Darden Architects. 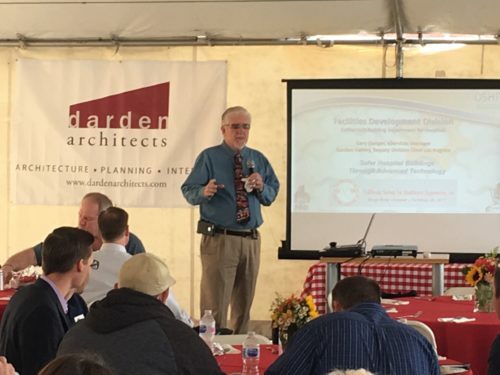 Like previous years, Darden Architects hosted the annual C.S.H.E. 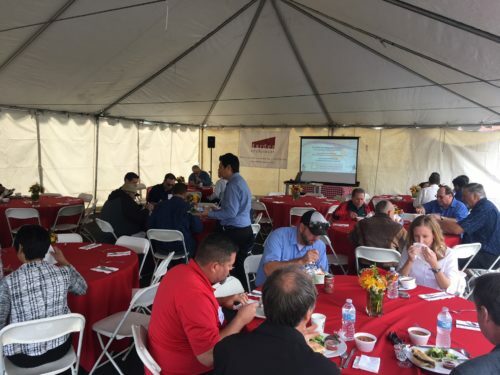 BBQ and Luncheon in the company parking lot. 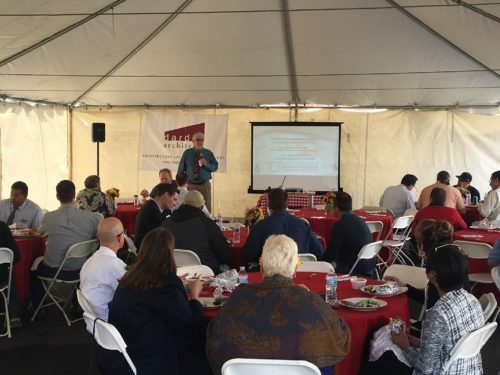 Speakers Gary Dunger, Manager of eServices with the Office of Statewide Health Planning and Development (OSHPD), and Gordon Oakley, Deputy Division Chief with OSHPD, gave a presentation during the delicious BBQ lunch. 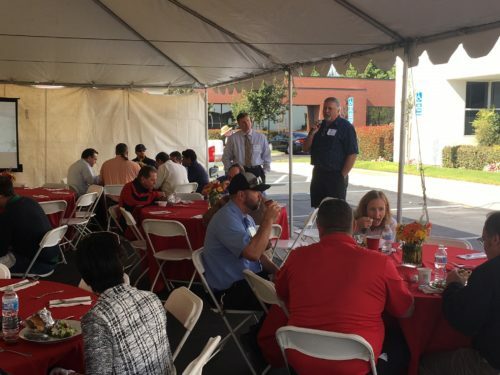 With the nice weather and good company, we had a great time hosting our colleagues.